Molasses is great. 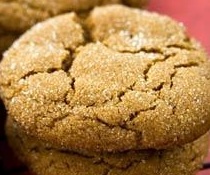 This molasses cookie recipe is extremely good. Try adding nuts from time to time to give it even more flavor.